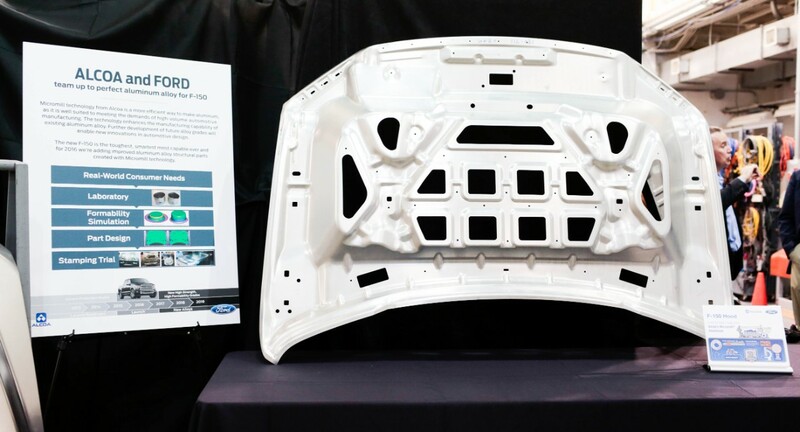 Ford announced Monday it will become the first automaker to use Alcoa’s Micromill aluminum by incorporating the strong but “design-friendly” alloy into the 2016 F-150. Ford said the Micromill malleability is ideal for complex shapes, which are difficult to produce through traditional means without joining several pieces together. With Micromill, you can make the entire component as a single strong part. 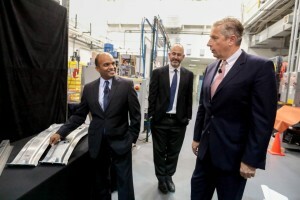 Alcoa in December cited door inner panels and outer fenders as potential candidates for the technology, though Ford also hinted that “critical strength structural parts” could use Micromill as well. 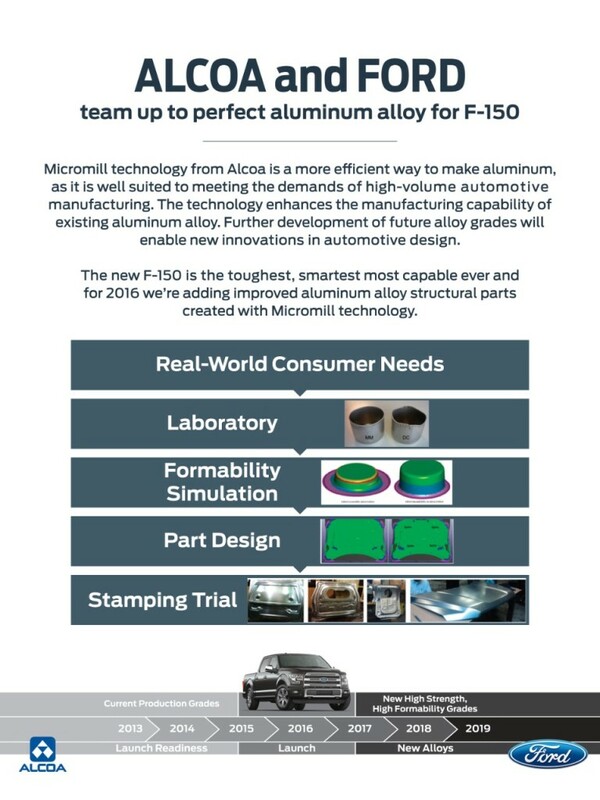 The Micromill aluminum will first appear in 2016 F-150 manufacturing in the fourth quarter of 2015, and Ford projects it will “more than double” Micromill content from 2016 to 2017. “A traditional rolling mill takes around 20 days to turn molten metal into coil, Micromill does it in just 20 minutes,” Alcoa continued. Not only is it fast, it’s efficient. Alcoa says a Micromill is 25 percent of the size of a regular aluminum rolling mill — and energy use drops 50 perent. This could be an interesting challenge for aftermarket manufacturers who can’t get their hands on Micromill aluminum. It’d be difficult to say a part is truly “like kind and quality” if it isn’t as light and strong as Micromill aluminum and made in “one take” instead of by assembling several pieces. Another benefit — Ford might start citing “Micromill” left and right instead of repeating “military grade” every 5 seconds. We could use a break.